Does Parental Support Affect Independent Student Status? A student who has one or more dependent children that she supports is considered independent on the FAFSA. I am 19 and have a baby (1 month old) and I am living with my boyfriend and his mother. I am confused about whose tax information to use on the FAFSA. My boyfriend's mother is in Section 8 housing and put me in it and in her food stamps. — J.F. A student who has one or more dependent children that she supports is considered independent on the Free Application for Federal Student Aid (FAFSA). Parental information is not required on the FAFSA of an independent student. The children must receive more than half of their support from the student throughout the award year, which runs from July 1 to June 30. The children do not need to live with the student. Support that the student receives from sources other than her parents will count as part of the support she provides to her children. This includes support she receives from her boyfriend and from her boyfriend's parents. It also includes money from government aid programs, such as TANF and SNAP (food stamps). Student financial aid (including student loans) also counts as part of the student's own support. Amounts the student spends from savings and income to support her children also count as part of her support of the children. If the student's parents, however, directly or indirectly provide more than half of the support for the student's children, the student is not considered to be independent. The student's parents would then be required to complete the FAFSA. The boyfriend's parents cannot substitute for the student's parents on the FAFSA. Regardless of whether the student is dependent or independent, any support she receives from her boyfriend or his mother should be reported as untaxed income to the student on her FAFSA. Incidentally, if the boyfriend is the children's father (or the children live with him) and he provides more than half of the children's support, he can also be considered independent on his own FAFSA. So it is possible for both of a child's unmarried parents to each be considered independent on the FAFSA because they are each providing more than half of the child's support. My daughter, who just turned 22 years old, is in school and working a part-time job. She had a child last November and is a single mom. She filed the FAFSA in January as an independent student based on her now having a dependent child. My question is that during most of last year, she was still my dependent. Can I claim her on my tax return this year and keep from hurting her chance to get FAFSA for this year and next? She will be providing over 50% support this year for her son and I will not be claiming her. — Alan H. As discussed in the answer to the previous question, for a student to be independent by virtue of having a dependent other than a spouse, the student must provide more than half of the child's support during the award year. This support must come from sources other than the student's parents. The focus is on the support she provides during the award year, not during the previous tax year. If the student started supporting herself and her children in the middle of the award year, the total support she provides through the end of the award year must be more than half of the support the children received from all sources during the full award year. For example, if a student provides all of her children's support for more than half the award year, or more than half support for the full award year, she will be considered independent by virtue of having a dependent other than a spouse. But if she provides only half their support for half the award year, she will still be considered a dependent student. Whether or not the student is claimed as an exemption on her parent's federal income tax return generally does not affect eligibility for federal student aid, since the IRS uses a different definition of support than the US Department of Education. However, college financial aid administrators may question whether a student was really providing more than half of her children's support if she is claimed as a dependent on someone else's federal income tax return. If the student is claimed as an exemption on someone else's federal income tax return, she will not be eligible to claim various education tax benefits on her own return that year. These include the American Opportunity Tax Credit (also known as the Hope Scholarship Tax Credit), the Lifetime Learning Tax Credit and the Student Loan Interest Deduction. If the other taxpayer decides to not claim her as an exemption, she will be able to claim these education tax benefits. However, a student who could have been claimed as an exemption on someone else's income tax return is not eligible for the partial refundability aspect of the American Opportunity Tax Credit. I am 25 years old and recently had to move back in with my mom. I am going to college this fall and wanted to know if living with her would affect my financial aid, and if it does how long do I need to be living on my own to regain independent status? — R.R. 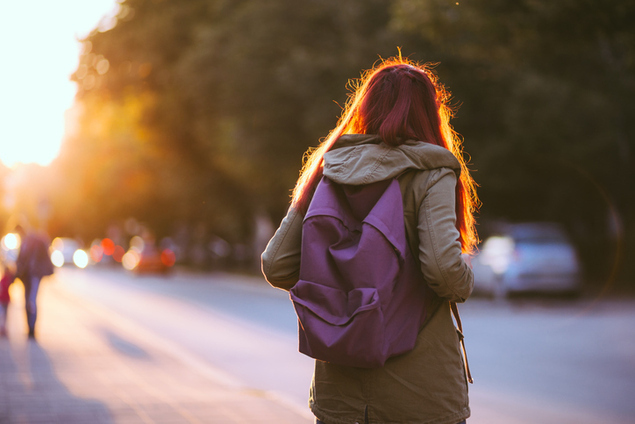 A student who is over age 24 as of December 31 of the award year is automatically considered to be dependent, regardless of whether she lives with her parents or not.